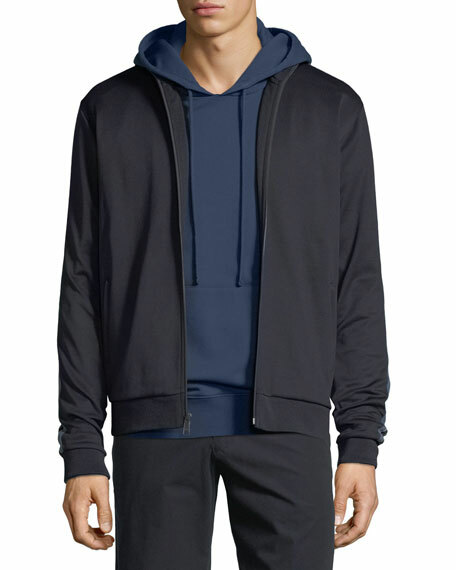 Vince hoodie in solid jersey-knit. For in-store inquiries, use sku #2475691. 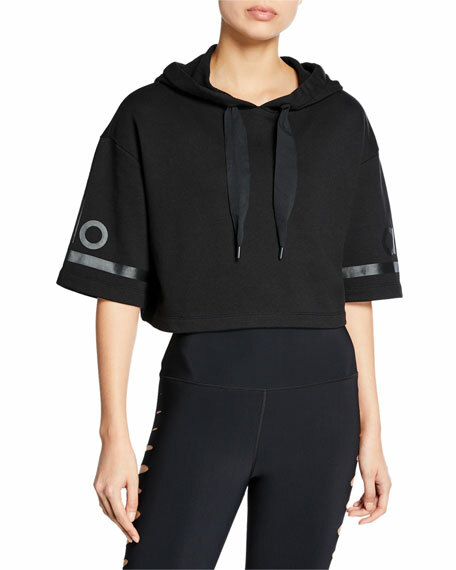 Alo Yoga jersey hoodie with logo detailing along sleeve ends. Hooded neckline with ribbon ties. Short sleeves. Relaxed silhouette. Cropped length. Straight hem. Pullover style. Cotton/polyester. Imported. Exclusively ours. Skin "Taylor" hoodie in solid jersey-knit. Hooded neckline. Long sleeves. Drawstring hem. Pullover style. Cotton/polyester. Made in Peru. 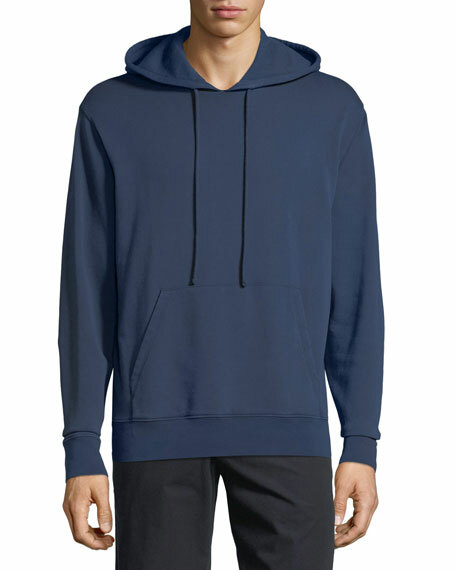 Vince raglan hoodie with rolled hem. Hoodie neckline with drawstring. Long raglan sleeves; ribbed cuffs. Cashmere exclusive of trim. Imported. 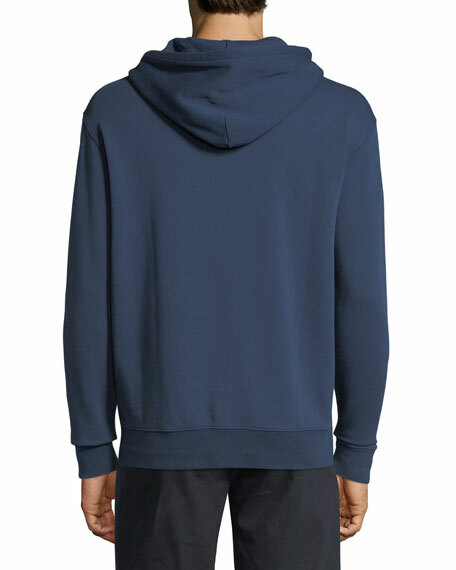 Vince "Birdseye" hoodie with contrast rib trim. Hooded neckline. Raglan sleeves. Regular fit. Straight hem. Wool/cashmere. Imported.